With only three days until the end of the first Twofer Challenge, I am posting a second entry. I know, I am just as surprised that I had two posts in one week. Both cards are made with the Carmen’s Veranda crane. The first card was made using a Misti to stamp the different colors; the verse is a Penny Black stamp I have had for years. 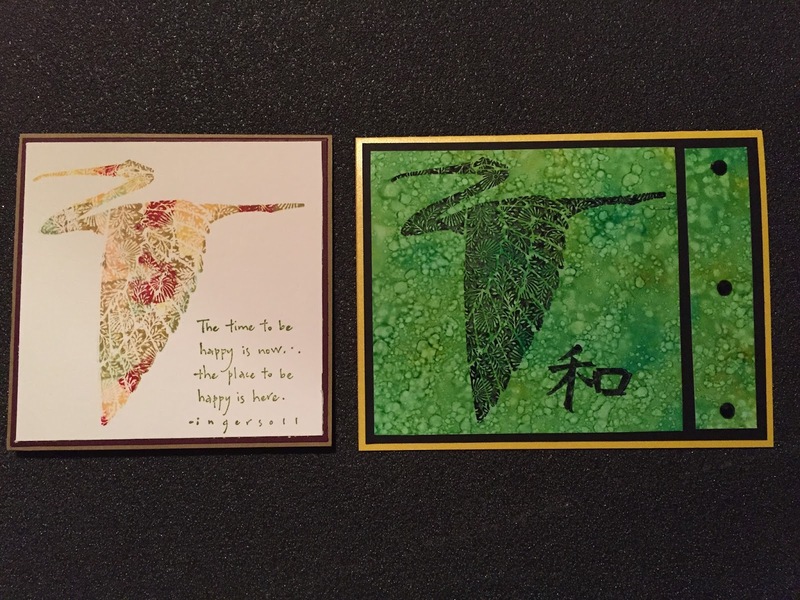 The second card has a background made with alcohol inks in Yupo paper. The crane and harmony symbol were stamped in Stazon ink. Luckily I used a Misti since it took a couple tries to get it dark enough. 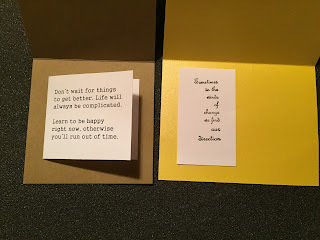 The first card I envisioned as an encouragement card and so the inside is has a computer printed saying I took to heart this last year that I have been in Weight Watchers. The second card is stamped with a Technique Junkie verse making this a best wishes card. This is a beautiful image Dora!! And love both ways you've used it. The first card is so pretty with the mix of colours - and lovely sentiment. The second card is so pretty with the vibrant colours of the AI background and your silhouette image. Great work creating two completely different designs using the same stamp. 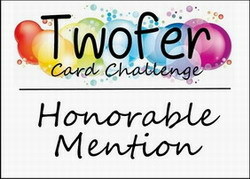 Thanks for playing along with us again at Twofer Card Challenge! 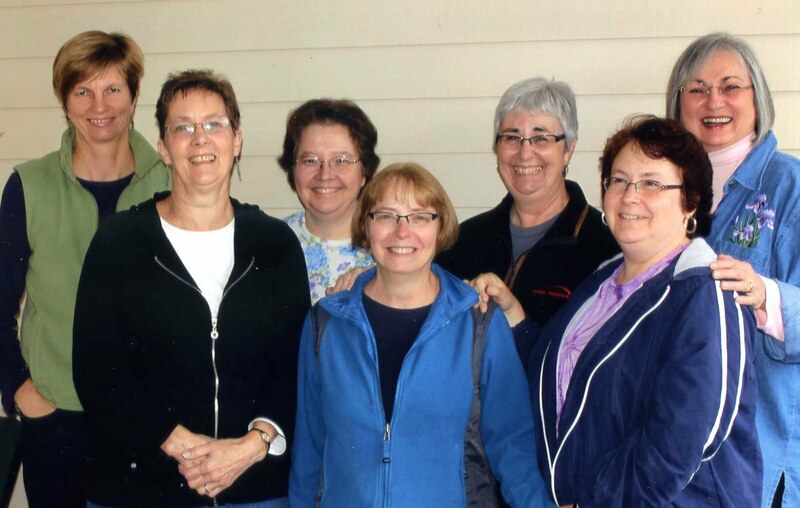 A second entry? You are on a roll, Dora! 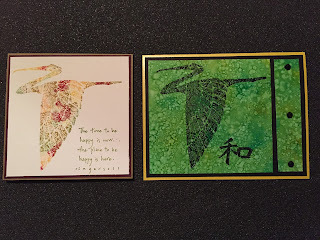 That crane stamp is so amazing and looks fantastic multicolored with the beautiful quote. And how different and striking it looks in black on your spectacular AI background! Well done! Thanks so much for playing a second time at the Twofer!